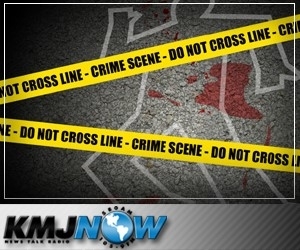 HURON, CA (KMJ) – Deputies say human remains were found inside a burned-out car near Huron. On Thursday afternoon, the Fresno County Sheriff’s Office received a report of a burnt vehicle located in an orchard near Palmer and El Dorado Avenues. Deputies found the remains inside of a Ford car. Homicide detectives, members of the Crime Scene Unit and Coroner’s Office all responded to the orchard to collect evidence. Sheriff’s Spokesperson Tony Botti says it’s unknown how long the vehicle had been in the orchard and when it caught fire. DNA tests will need to be conducted to make that determination. Botti says the process can take months to complete. Anyone who has any information on what Fresno County Sheriff’s Office is considering a “suspicious death” – call Crime Stoppers at (559) 498-STOP.